With its huge turquoise, sunlit lagoon decorated with 15 motu (islets) and an emerald green mainland, Aitutaki is the second most visited island of the Cook Islands. An easy 45-minute flight from Rarotonga, the view when approaching by air is one of the most stunning sights of the Pacific and is a must for at least a day trip. The achingly beautiful Aitutaki is a magnet for wedding parties, honeymooners and those seeking a private escape. Secluded and romantic, be awed by the stunning lagoon that encompasses the island and relax to the gentle lapping of waves on the pristine white sand. Look forward to languid, leisurely days simply spent reveling in the jaw-dropping surroundings. 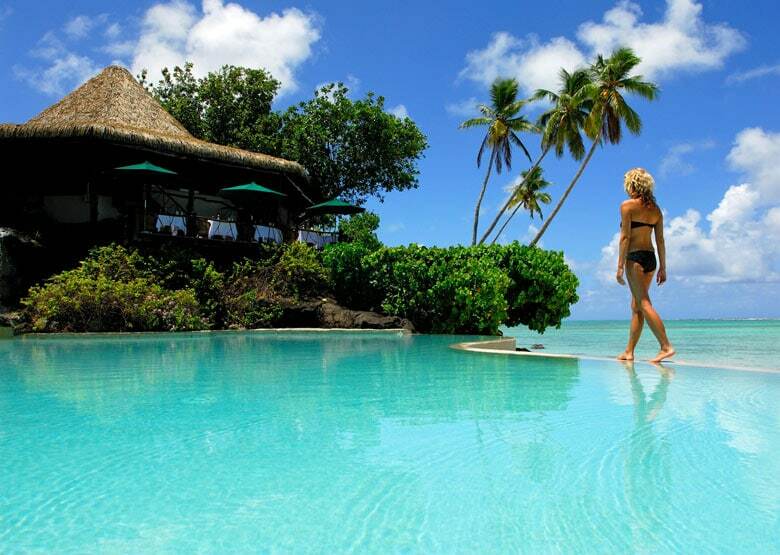 The allure of Aitutaki doesn’t stop at the water’s edge. Laze under a coconut palm, rejuvenate with a massage or sip champagne with the spectacular sunset as your backdrop. A triangular shaped reef encompasses the Aitutaki lagoon and is home to countless varieties of brilliantly coloured tropical fish and marine life. Explore the crystal clear water and uninhabited motu (islets), which fringe the stunning lagoon by kayak and moor yourself to a white sandy beach that you can have all to yourself. CLICK HERE to discover what the Escape Artist loves most about Aitutaki. 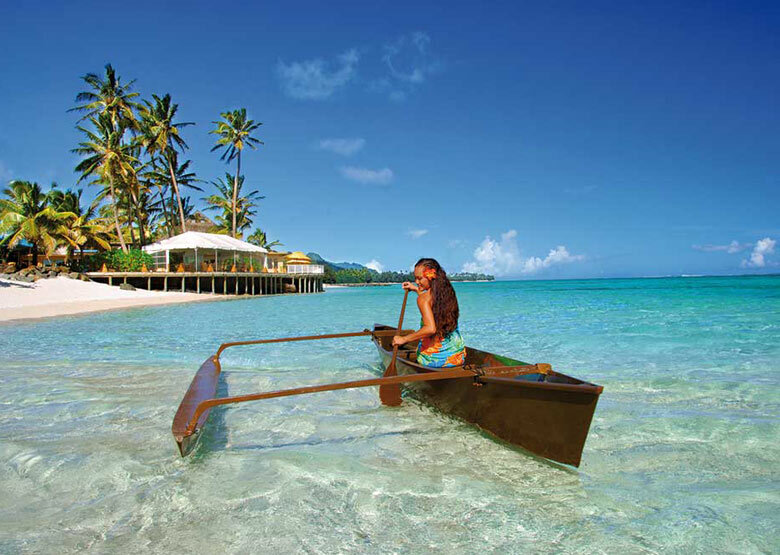 The island of Rarotonga is the vibrant hub of the Cook Islands and offers holidaymakers an enormous amount of choice. Only 32 kilometres in circumference, it takes less than an hour to drive, scooter or bus right around the island – it’s so easy you will feel like you’re on one big resort! With 50+ cafes and restaurants, a vibrant nightlife, bustling markets and endless adventures through the stunning landscapes, both on land and in the lagoon, there is never a shortage of things to see and do. Take advantage of the stunning landscape and relax on the beach with the striking emerald green mountains as your backdrop. Interrupt your peaceful relaxation with dips into the magnificent lagoon and allow your day to roll by with the island tides. If adventure is more your pace, why not partake is some water activities? Snorkelling, stand-up paddle boarding, lagoon sailing, fishing, diving, surfing and more are all available. On land, there’s a range of activities and attractions from art galleries and cultural centres to eco bike rides, 4WD tours of the interior and dinner in a local’s home. There is so much to see and discover on Rarotonga and at the end of the day simply laze in a hammock with a cocktail. CLICK HERE to discover what the Escape Artist loves most about Rarotonga.